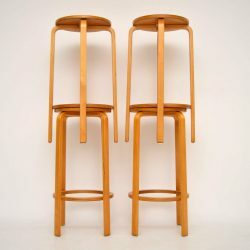 Retrospective Interiors – Danish furniture from mid 20th century. 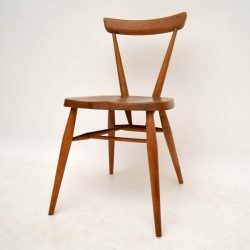 View our latest finds of of top quality danish furniture, retro furniture, vintage furniture and decorative furniture from mid-20th century to meet all of your design needs. Retrospective Interiors are specialists in stylish industrial furniture, old shop fittings, counters and cabinets and a good range of decorative furniture including leather chairs and sofas. 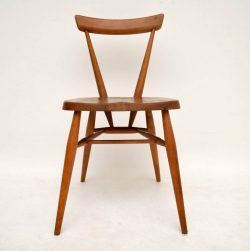 Latest Finds of Danish Furniture, Retro Furniture, Vintage Furniture and Decorative Furniture from Mid 20th Century. 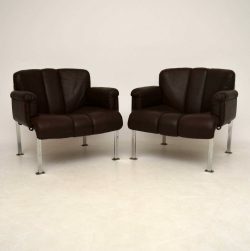 A stunning pair of leather and chrome armchairs, these were made in Switzerland by Girsberger, they date from around the 1960-70’s. They are of amazing quality, super comfortable and are in great condition for their age. There is only some minor wear here and there, one seat has a tiny repair to the leather which is very well done and strong, seen in the images. 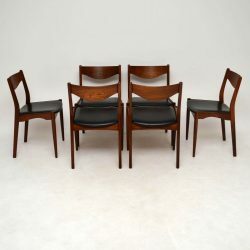 An super stylish set of four ebonised dining chairs in the manner of Gio Ponti, these date from around the 1950's. They are stamped beneath the base 'made in Italy', and are in excellent condition for their age. The frames are sturdy and sound, with no breaks or repairs. The seats have been re-upholstered in a top quality off white fabric. 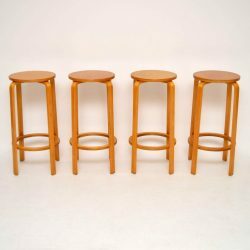 A lovely set of four bentwood stools, in the style of Alvar Aalto. These date from around the 1960's, we have had them stripped and re-polished to a very high standard, the condition is superb throughout for their age. 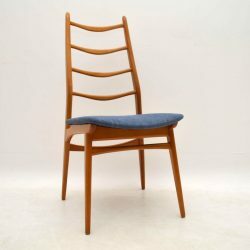 A very stylish and extremely well made chair by Ercol, this is quite early and dates from the 1950-60’s. It is in good condition for its age, it is sturdy and clean, with some minor wear to the polish here and there. 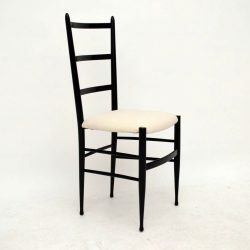 This would have been part of a stacking set, it is equally useful as a desk chair, side chair or spare dining chair. 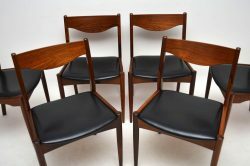 A beautiful set of solid Rosewood dining chairs, these were made in Denmark by SL Mobler, they date from the 1960’s. 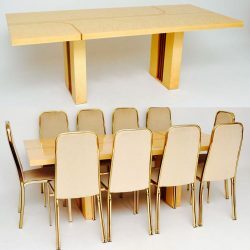 We have had these stripped and re-polished to a very high standard, the condition is superb throughout. The colour and grain patterns are stunning all over, the black vinyl upholstery is in amazing condition with hardly any wear. 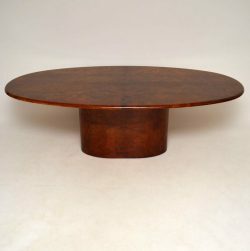 We also have the matching Rosewood dining table that came with these, please see listed under our other items for sale. 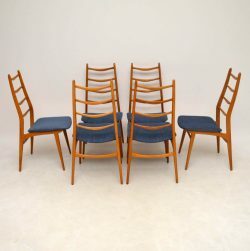 A stylish and very well made set of six dining chairs, these were made during the 1950-60's. The condition is excellent for their age, they are clean, sturdy and sound, with only some extremely minor wear here and there. We have had the seats newly re-upholstered in our lovely medium blue fabric. 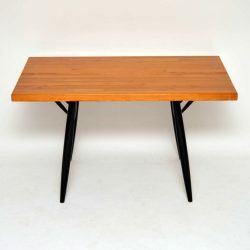 A beautiful and very rare dining table by Ilmari Tapiovaara, this was made in Finland during the 1950's. 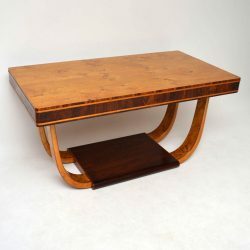 It is extremely well made, with a Pine top and ebonised wood base. We have had this stripped and re-polished to a very high standard, the condition is superb throughout. 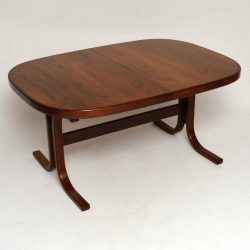 A stylish and top quality dining table in Rosewood, this was made in Denmark and dates from the 1960-70's. It is generously proportioned and has two extra leaves that store away beneath the surface when nit in use. We have had this stripped and re-polished to a very high standard, the condition is superb for its age. 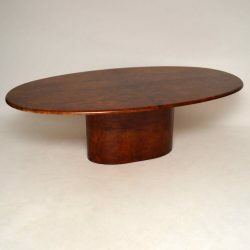 The colour and grain patterns are beautiful, and this has a very unusual bentwood base which is also Rosewood. 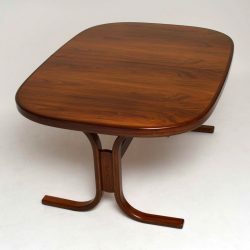 A stunning Italian dining table, this was designed by Renato Zevi and dates from the 1970's. Originally retailed exclusively in Harrods, this model is extremely rare, and it's beautifully made. The Burr Maple veneers have a beautiful colour and grain pattern, the top has an amazing pattern of inlaid brass. The table is beautifully polished and is in excellent condition for its age, there is just some incredibly minor wear to one or two or the corners, seen in the images. 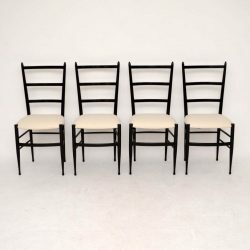 This came with ten matching brass chairs, they are seen in the images and are included as a free extra with the table, they need to be re-upholstered. 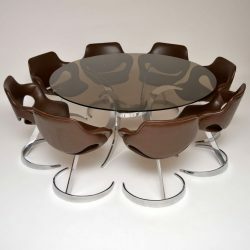 A stunning and exceedingly rare dining suite, this was designed by Boris Tabacoff and made by Mobilier Modulaire Moderne in France during the 1970's. We have had a new thick clear glass top made for the table. The brown vinyl on the chairs in mostly in good condition, there are a few nicks here and there. 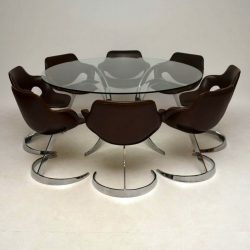 The chromed frames of the chairs are in excellent condition with just some minor wear, the chrome on the table base has a little more wear. 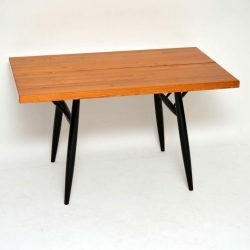 A stunning and very rare dining table, this was designed by the famous Italian designer Aldo Tura, it dates from the 1960-70's. It's made from lacquered goat skin parchment, and the quality is amazing. This in superb condition throughout, with only some incredibly minor wear. We also have the matching sideboard, mirror and serving trolley, please see listed separately under our other items for sale. 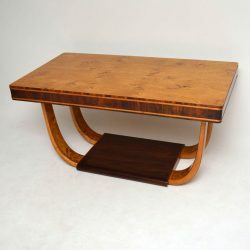 A stunning Art Deco Dining table, beautifully made from Burr Maple and Rosewood. This dates from the 1920-30's, and it is in amazing condition throughout. We have had the top re-veneered, the whole thing has been stripped and re-polished to a very high standard. Return on the Retro: Why Retro Furniture is coming back.